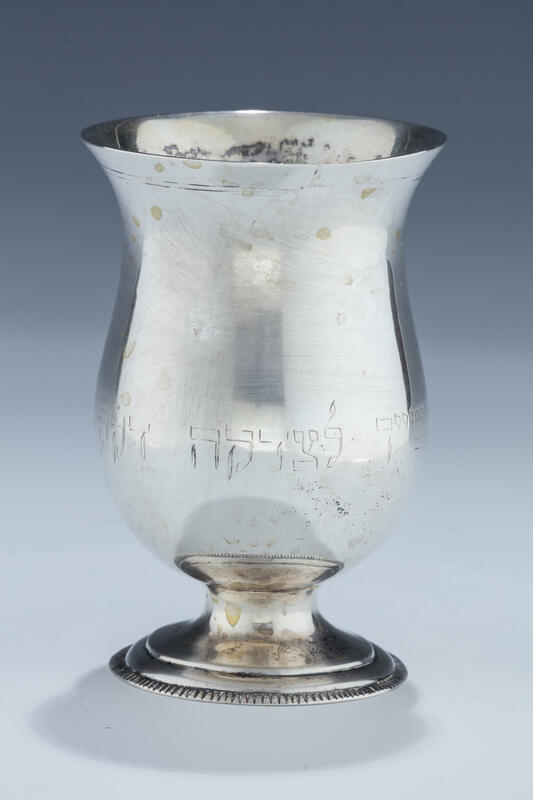 A LARGE SILVER CHARITY COLLECTION CUP. Hungary, 1851. On rown crimped base with baluster shaped upper section. Engraved: “THIS BELONGS TO THE CHARITY OF THE HOLY CONGREGATION OF AVANI IN THE YEAR 1860”. Marked. 4.5” tall.